Maria Rust of Somm Time. Photo by Jeff Quinn. At 4 pm on a Sunday, a guy looking for a pin is nosing a glass of wine—and guessing to himself: New World? I think it’s New World. Syrah? There’s a smoky note to it for sure. A quick scan down the bar indicates that he isn’t alone in this internal dialogue. It’s typical of guests at Somm Time, a wine bar in New York City’s Midtown East neighborhood opened by Maria Rust last fall. 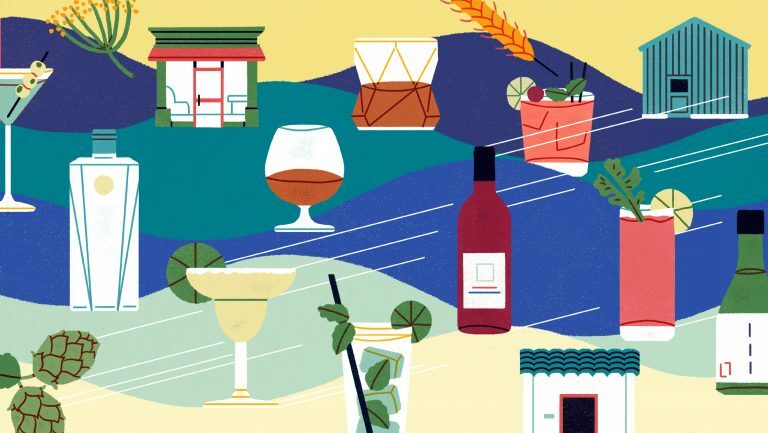 The bright, intimate spot quickly became an industry hangout, just as Rust, a sommelier turned bar owner, dreamed it would. The shelves above the end of the bar are lined with all the books a student of wine could want; beneath the counter, a stack of blank tasting grids awaits; and on the wine list are all 20 red and 15 white testable varietals a candidate for a wine certification could need. Anyone who comes in after passing a wine exam gets a glass of Champagne—on the house. Miraculously, her partners agreed to her terms—and gave her a whopping two weeks to turn the place around. She called in family and friends to help, and together they replaced the dark and dusty pub with a welcoming space bookended by a petite sidewalk patio and a cerulean blue back wall. 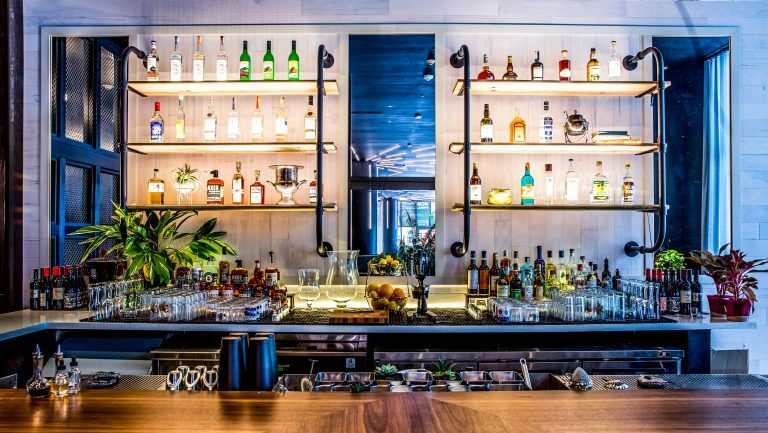 In between, a handful of tables cluster along the bar, terrariums are suspended from macramé plant holders, and the bar itself stretches nearly the length of the room. Everything, Rust says, was touched by a friend or family member, including the wooden bar, which she finished by hand. 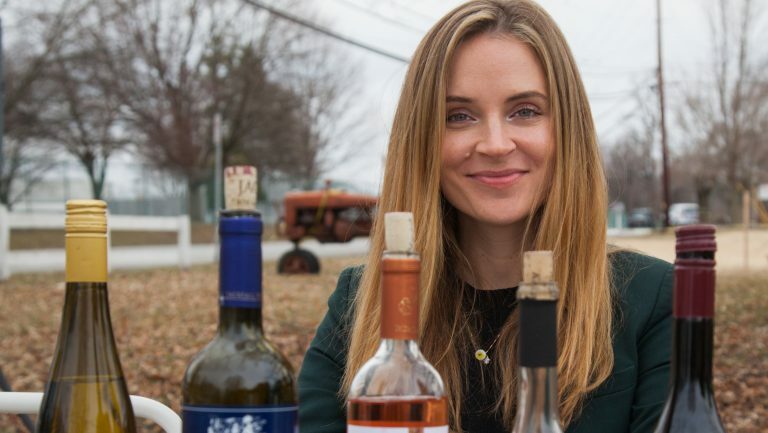 Rust staffed the bar with sommeliers she’s met through her years in the industry. All of them are impressively able to translate their passion and knowledge to the guests. 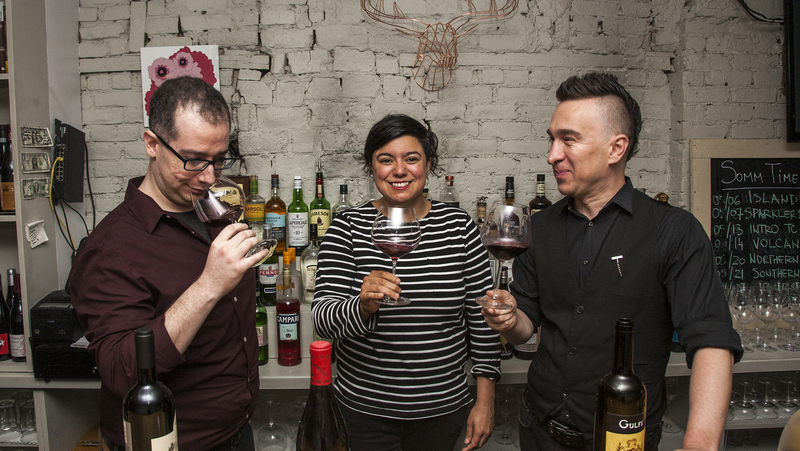 The team—Rust, Ciprian Toma, and former Betony head somm Christopher Freund—tastes together frequently and riffs off one another’s skills and knowledge. The mix helps ensure that the wine selection doesn’t have blind spots. Somm Time is not unwelcoming to someone just looking for a glass of wine—it’s become a happy hour destination for nearby office workers and locals who linger over $1 oysters and $7 pours—but it’s also become an unparalleled resource for people who have an interest in learning more about wine. 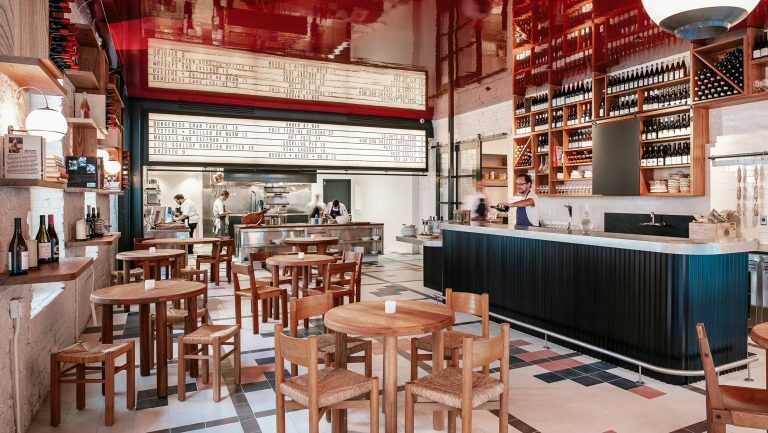 On Saturdays and Sundays, the staff offers classes to the public on everything from blind tasting to volcanic wines. Rust may have named the bar Somm Time because it was to be staffed by “all somms, all the time,” but while that vision hasn’t changed, she couldn’t have predicted that the bar would become a home to somms all the time. Wine sales reps have welcomed the bar, too; they’ll pop in before or after dinner, and some have held meetings and tastings there. It’s the kind of place where industry folks show up at 2 am knowing they can still get a great glass of wine. Sometimes they’re carrying their own bottles. Sometimes they don’t leave before 4 am. After a long night on the floor, most sommeliers want a beer. Rust offers more beers than one would expect from a wine bar—12 on tap, mostly craft. Offering a well-made Negroni and a short list of other cocktails is a good idea, too. 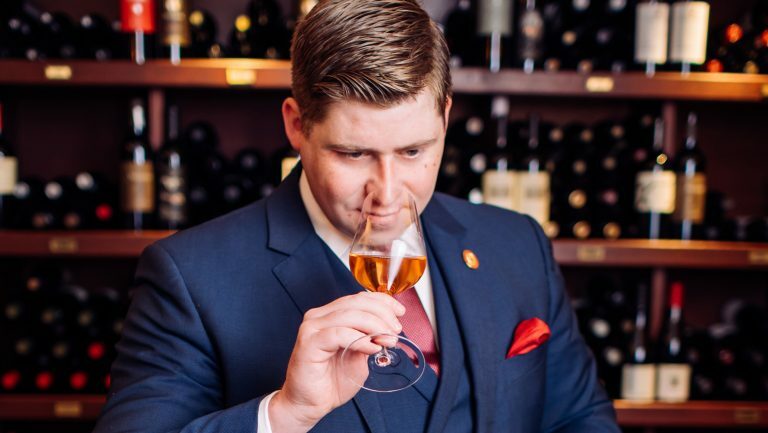 Sure, you may be helping to create the next great somm for some other wine bar, but make room for sommelier candidates at the bar, blind taste WSETers, and, of course, provide free Champagne for new pins. Rust and her entire team regularly attend tastings around the city. They then pour their best esoteric finds by the glass—under-the-radar producers, hard-to-explore regions, and obscure appellations. Feature a dynamic wine list that’s timely and changes frequently. This summer Rust is pouring 10 to 15 rosés by the glass every day. In the winter, the bar offered “Secrets from the Cellar” once a week, after 10 pm. The team would put together a secret list of 12 wines and have all the bottles available by the glass. Rust’s Sunday night Buy-a-Bottle, Bring-a-Bottle program means no corkage fees, as long as you also buy a bottle from her list. It’s become an opportunity for people with access to interesting bottles to share them with others who will also appreciate them. Somm Time fills up with sommeliers and servers right around 2 am—just after most restaurants have closed. Rust uses this time as a chance to show off her selections by opening under-the-radar bottles. A recent hit: a 2015 Somlói Vándor, a fresh and complex Furmint from Hungary.